With a fully stocked equipment shed our new Bushcraft Training Facility is the perfect place to hone your backwoods and survival skills. Situated next to the River Brock away from the hustle and bustle of Camp Centre, the Brockside Training Base is supported with a fully equipped shed including hammocks, knives, axes, saws and all of the cooking equipment that you need, not to mention the all-important parachute, for group cooking and the centre-piece camp fire. 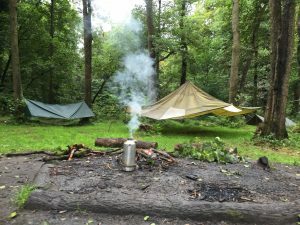 There is also a fully functioning camp oven, all ready to bake cakes or roast a joint, and two separate fire circles ideal for training. The camp is equipped to sleep 16 people in 12 children’s hammocks and 4 adults hammocks plus there is plenty of space for additional tents in the woods close by. 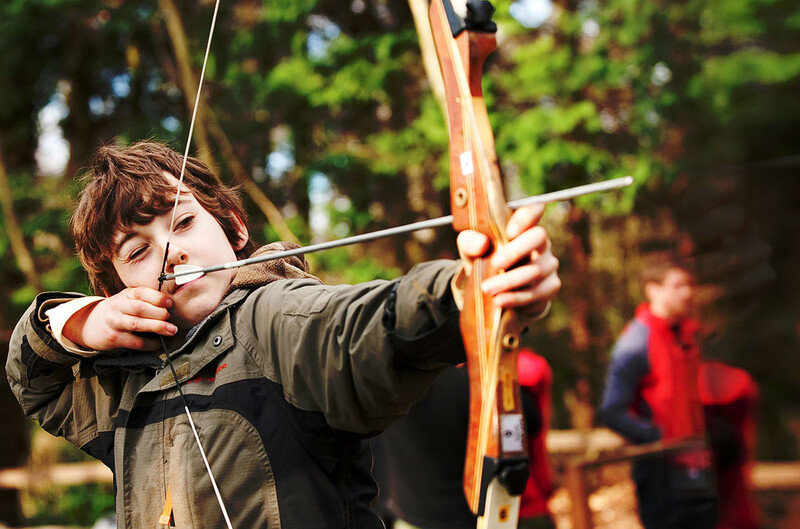 Why not book one of our specialist Bushcraft Sessions including Firelighting, Shelter Building, Backwoods Cooking, Foraging and Water Purification or Wild Game Preparation to compliment your stay!